Open Studios Art Tour is a two-weekend event. Visit artists in their environment as they welcome you to buy artwork, jewelry, woodwork, stained glass and other handcrafts. 70 artists are participating in this event, with 49 studios open. Tour Guide Books are available for purchase in Chico at the Chico Art Center, Art Etc., Chico Paper Company, Made in Chico, Sally Dimas Gallery, in Paradise at Antiques & Vintage Chic, and in Oroville at Broken Color Gallery. Join the artists in this celebratory evening of art, music, food and beverages. The event includes art tour guide with map, complimentary raffle ticket for a unique gift basket, and entry to this exclusive exhibit preview and reception. Complimentary food and beverages. Gallery exhibit of works by participating Open Studios Art Tour artists. Preview artwork by each artist and plan your self-guided tour of artists’ studios throughout Butte County. Buy a tour guide and button for entrance to the grand reception party! The Chico Art Center is located at 450 Orange Street in Chico. Hours are Mon-Fri, Noon-4 pm, Sat-Sun, 10 am to 4 pm. The Open Studio Art Tour Preview Show with one piece of art by each participating artist is ongoing until Oct 28. Janet Lombardi Blixt, Christine Connerly, Paula Busch, Mike Gillum, Michael Goloff, Kandis Horton-Jorth, Marion Hunziker-Larsen, Nicolai Larsen, Dave Lawton, Jana Lawton, Patti Lloyd, Dolores Mitchell, Rachelle Montoya, Reta Rickmers, Geralyn Sheridan, and Melinda Vasquez. You can preview some of the artwork by following the links. It shows works they presented last May for Art at the Matador. 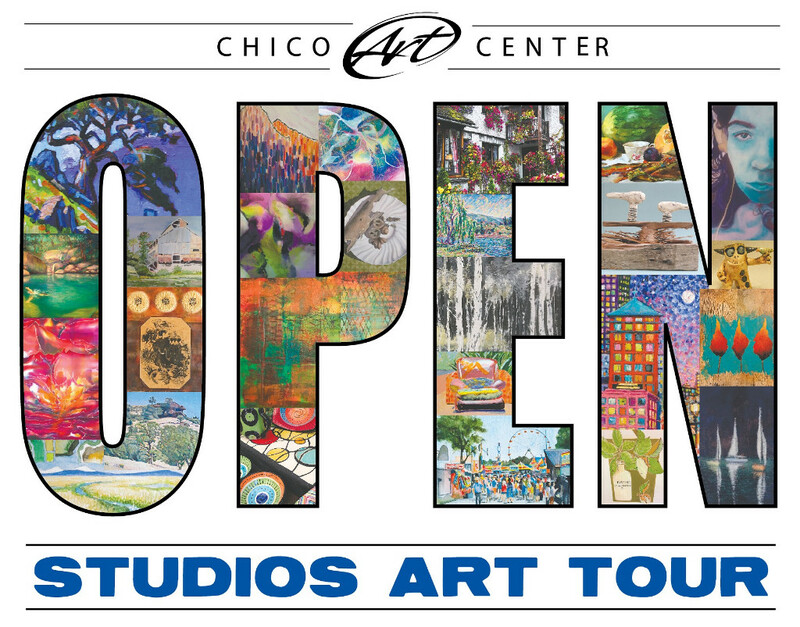 More info can be found on the Chico Art Center website HERE or facebook HERE!